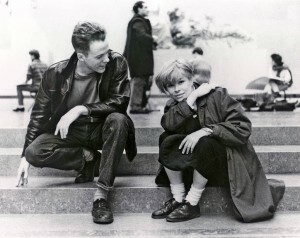 Julian Henry with Cath Carroll, who sang on the Autobiography EP. 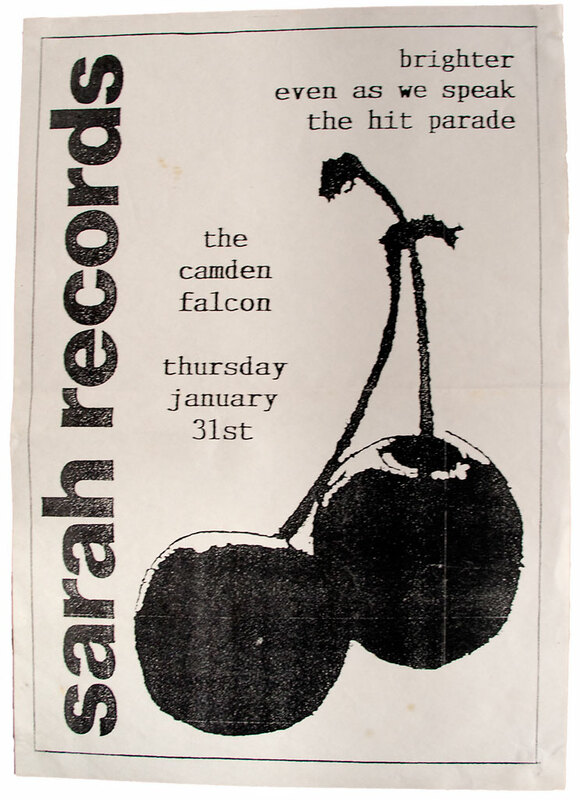 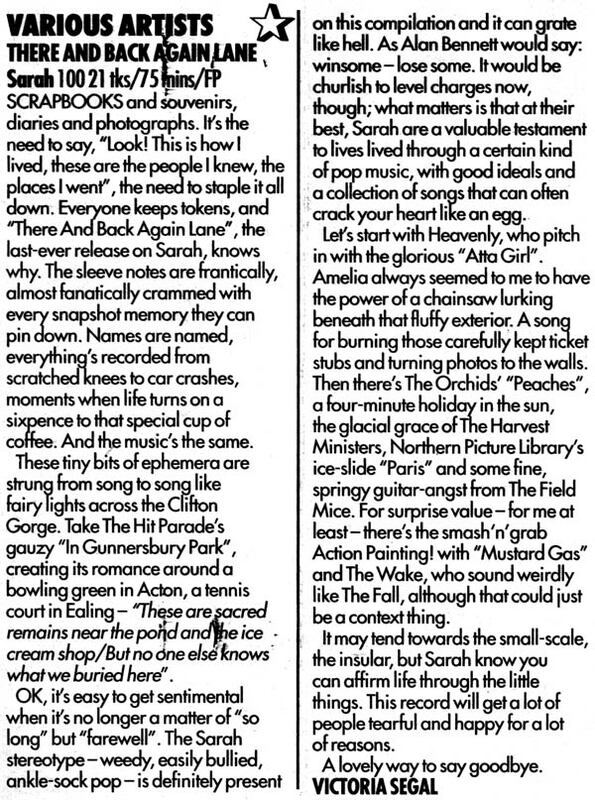 Poster for Brighter, Even As We Speak and the Hit Parade at the Falcon in Camden Town (corner of Royal College Street and Jeffreys Street, and the main Camden pub venue in those days – it’s now flats) on January 31st, 1991; this would be Even As We Speak’s first trip to the UK, and before we’d released our first Hit Parade single. 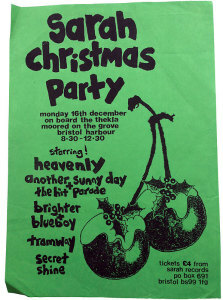 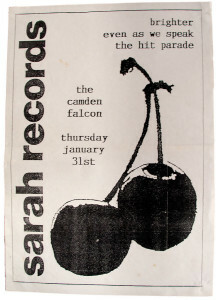 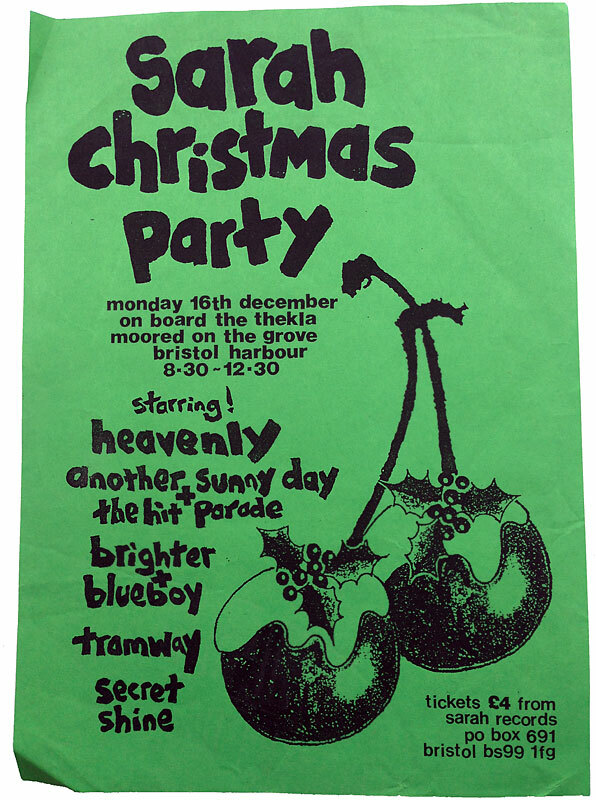 Poster for the 1991 Sarah Christmas Party on board the Thekla in Bristol.